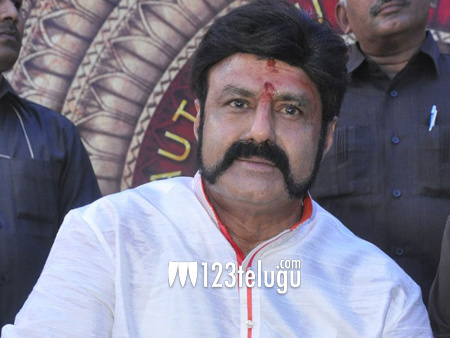 Balayya’s shelved movie to be revived? Nandamuri Balakrishna is currently busy shooting for his prestigious 100th movie, Gautamiputra Satakarni. The film is a historical drama. Several years ago, Balayya teamed up with veteran director Kodi Ramakrishna and his producer friend S Gopal Reddy for a high budget period thriller titled Vikrama Simha. The movie, however, was shelved after completion of nearly 60 percent of its shooting and nobody knows the reason behind it. In his latest promotional interview for Nagabharanam, Kodi Ramakrishna said that efforts are being made to revive this project and that only 20 days of shooting is remaining. It will indeed be a good news for Balayya fans if the movie comes out of the cans after so long.